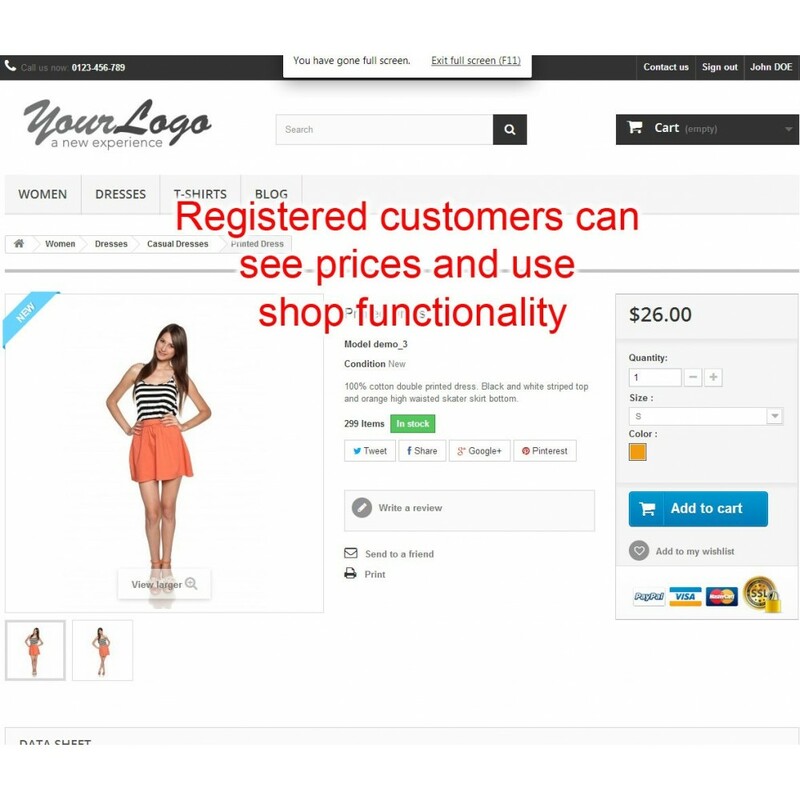 Prices and shop functionality is available only for registered customers. 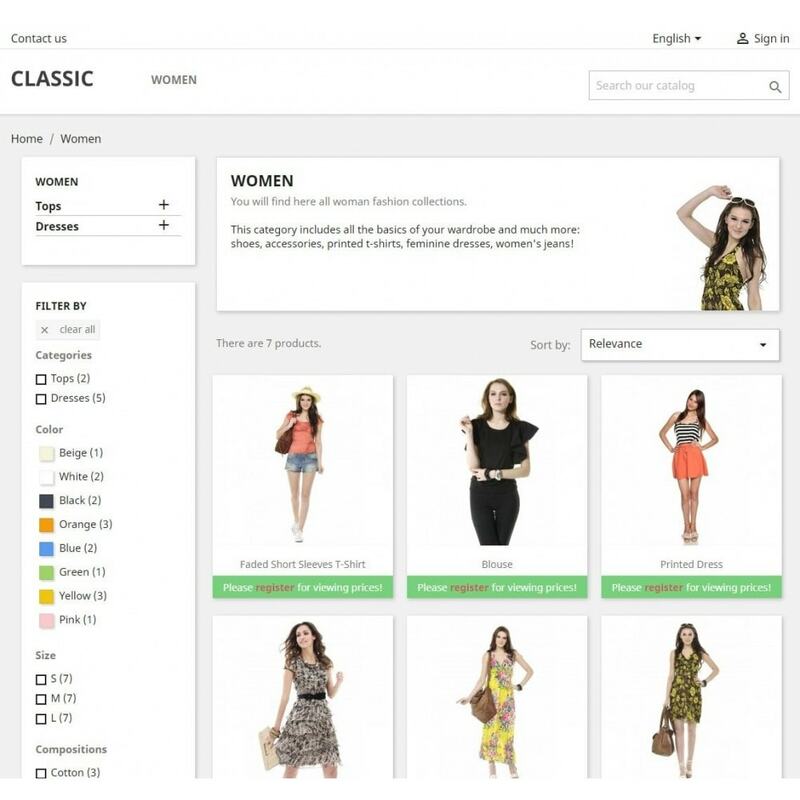 Unregistered customers can access shop in catalog mode (without prices and buy item functionality). 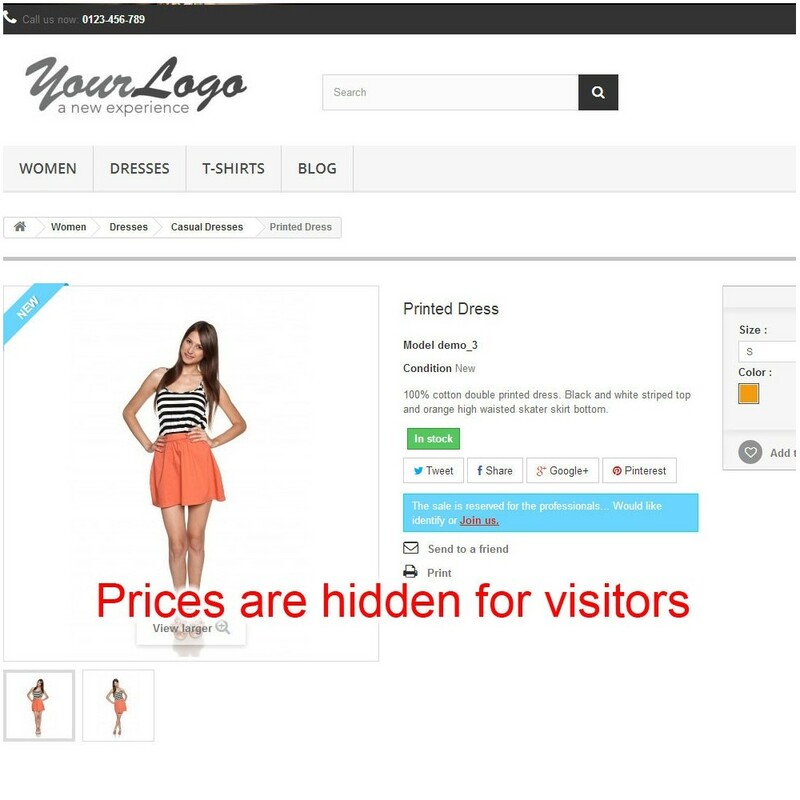 With this module you have a better chance to convert your shop visitors into customers. Module installation is very easy. 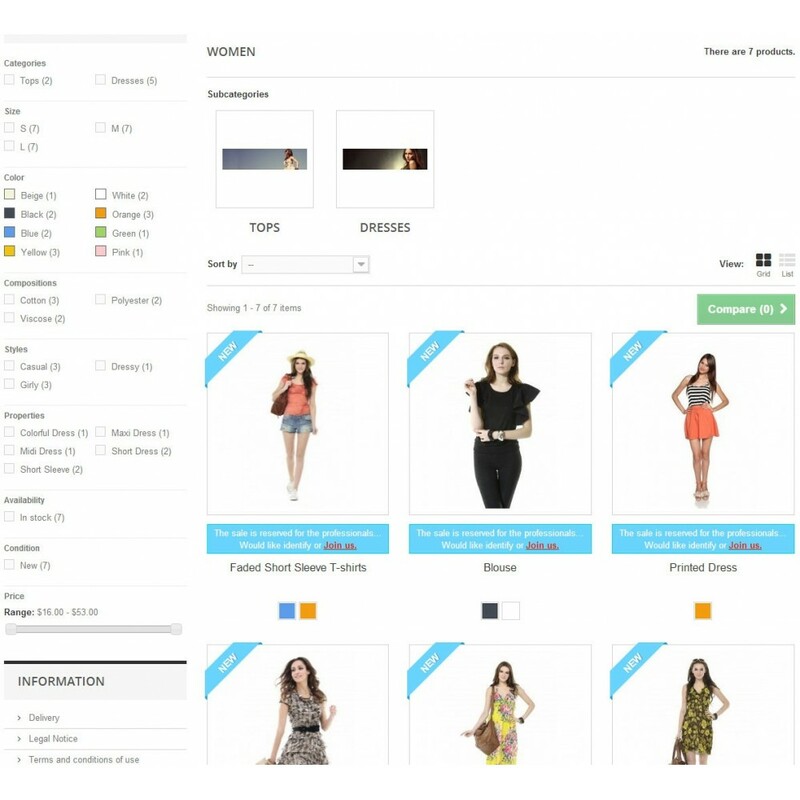 There are reach possibilities for module integration into your existing eshop. 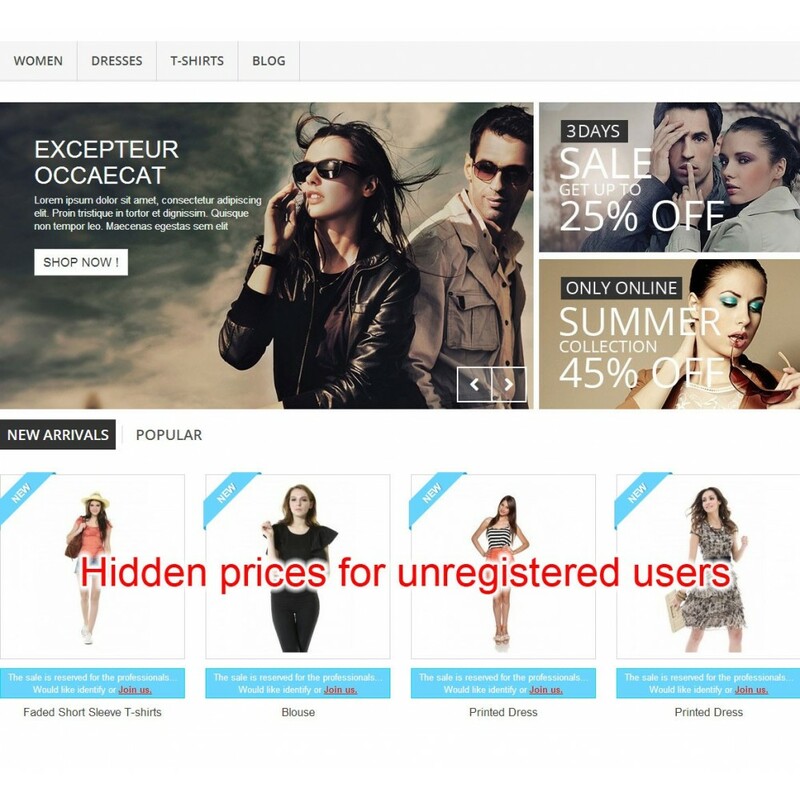 Login link with message about limited access for unregistered users can be placed on multiple locations (featured products on home page, products list in category or product detail overview). There is a reach interface for styling info message box. 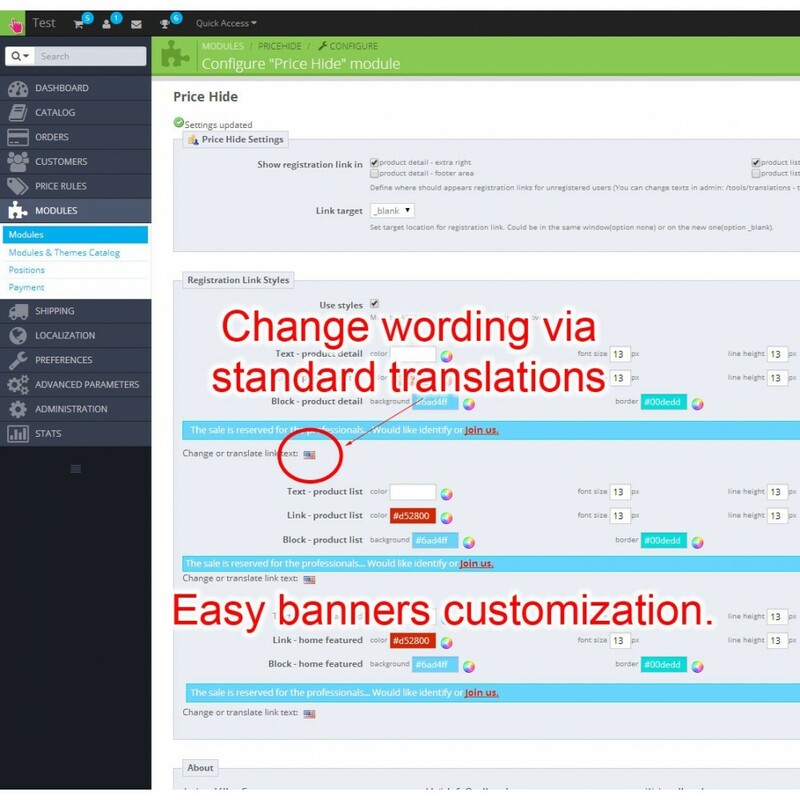 You can customize message texts in each one language via module translations. Don't hesitate to contact me for module modifications or customizations. If you find any bugs please let me know. 2. Unzip and upload folder pricehide on your server into /modules directory. 3. 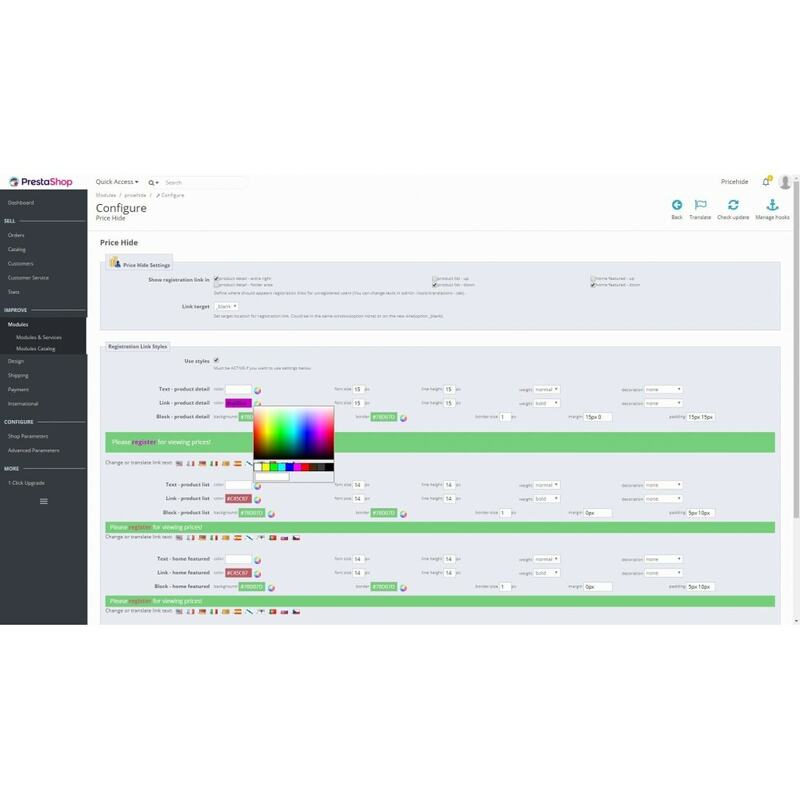 Activate module in admin interface. You can find it under "Pricing & Promotion" tab. 4. Change the module configuration settings according your needs.